Monoaminergic Systems and Anti-Obesity Drug Discovery: Chronic Administration of Sympathicomimetic Amines, Re- Uptake Inhibitors, or Amine Oxidase Inhibitors? Targeting the Opioid System: An Effective Treatment for Obesity? Obesity is a disease which leads to a number of chronic illnesses and reduced life expectancy. It is a complex health problem, caused by a number of factors such as excessive food intake, lack of physical activity, genetic predisposition, endocrine disorders, medications and psychiatric illnesses. It has been identified as the leading preventable cause of mortality and morbidity, and substantial research work has been carried out to identify the strategies and molecular targets for pharmacological interventions. Onset of obesity in both developing and developed world has reached to epidemic proportions. In response to this, efforts to control and treat obesity have also been vigorously pursued, ranging from raising awareness about life style changes to the discovery and development of safe and effective anti-obesity drugs. The book entitled of “Anti-obesity Drug Discovery and Development” is focused on this very important area of healthcare research. Fifteen well written reviews make this special volume an excellent compilation of state-of-the-art developments in the subject. Hsu et al., in the first chapter of the book set the stage for subsequent contributions by providing fundamental facts and statistics about obesity as well as the need of anti-obesity drugs. Constandi et al. review the current understanding about relationship between obesity and cardiovascular disorders (CVD). More specifically dyslipidemia in obesity is a major cause of CVD in obese patients, and strategies to increase HDL (good cholesterol) levels hold great promise. Barros-Mazon et al. in their chapter review studies conducted on inflammatory and metabolic aspects of obesity, and the positive changes that occur with sustained weight loss. The review contributed by Kusti et al. focuses on pharmacological interventions developed to treat obesity. It presents the diverse options currently available to shunt various points in the complex molecular cascade of obesity. Modern technologies, such as proteomics and metabolomics, have been employed to study obesity and molecular markers associated with the disease. This important area is reviewed by Kim and Zakharkin in their article. Cynthia Arbeeny has contributed a review on the underlying mechanisms of cardiovascular risks, as well as targets which have been identified to develop pharmacological agents to reduce CVD related morbidity and mortality. Carpène and Iffiu-Soltesz have contributed a review focusing on discrepancies between the cultured adipocyte model and animal model in the discovery of anti-obesity drugs. The role of rimonabant as an anti-obesity drug and the associated adverse side-effects, along with its mechanism of action and results of clinical studies, have been reviewed by Curioni et al. This is an interesting account of the rise and fall of a “block-buster” drug and future prospects of its use. Secondary metabolites isolated from medicinal plants, have been used for a variety of therapeutic purposes. Park and Kim review the available information on various aspects of the potential uses of plant-based compounds against obesity and obesity-related co-morbidities. Some of the promising phytochemicals in the treatment of obesity have been discussed in this review. A greater understanding of obesity on molecular basis led to the discovery of opioid peptides and opiate receptors. These molecules are believed to mediate in the appetite towards palatable food. 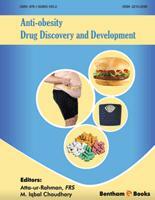 They are therefore regarded as an effective target in anti-obesity drug development. The role of opioid peptides and opiate receptors are reviewed by Reid and Davis. Rivera et al. present the studies conducted on the development of melanin concentrating hormone receptor 1 (MCH-R1) antagonists as a target for anti-obesity drug development. Structure-function of MCH-R1 and discovery of antagonists are the two main topics of this review. A review on the discovery of cannabinoid receptor 1 (CBR1) as a potential target for anti-obesity drug development is contributed by Hoareau et al. They emphasize the need for the development of safe and effective CBR1 antagonists after the failure of Torcetraqib. Recent studies confirm that food intake is regulated by certain receptors in brain. Similarly it has been discovered that specific endocrine cells, the X/A-like cells of gastric mucosa, play an important role in appetite. The role of endocrine cells, and acylated ghrelin released from these cells, in food intake is reviewed by Stengel et al. Flouris et al. have contributed a chapter focusing on the association between obesity and inflammation, along with efficacy of biochemical mimics in the control of obesity-related inflammation. Bariatric surgery is one of the most effective strategies to treat obesity disorder. Jacob et al. review the after effects of such surgeries such as vitamin deficiencies. They have also discussed various strategies developed to overcome post-operative problems. We would like to express our deep gratitude to all the contributors for making this volume an excellent compilation of modern knowledge on the science of obesity and its treatment. We also wish to express our thanks to Ms. Taqdees Malik (Editorial Assistant), Ms. Sadaf Idrees Khan (Composer) and members of Bentham Science Publishers (The Netherlands) for their assistance in the timely completion of this assignment. We are also most grateful to Mr. Mahmood Alam (Managing Director) for efficiently leading the Bentham team in this project. Genzyme Corporation, 49 New York Ave.